Prey – Mooncrash is by far and away one of the most masterfully crafted pieces of DLC I’ve played. 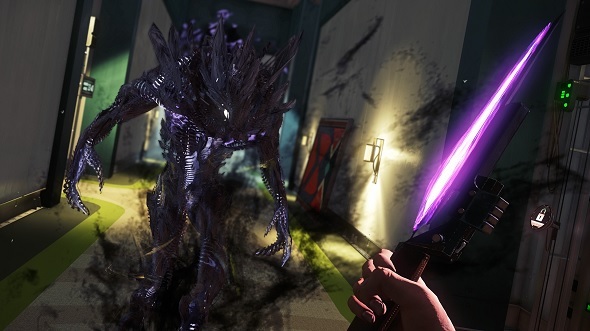 For the money – £12.99 / $19.99 – it’s easily one of the best experiences to come out of E3. Truly, if you’re a fan of Arkane’s unbeatable narrative design work in games like Dishonored, Mooncrash is unmissable. The concerns around the DLC are warranted. How do you graft a roguelike structure to an immersive sim? It’s a question that Arkane answer with confidence. My worry was that Mooncrash was simply an attempt to turn Prey into a predator of more popular genres – what next, a battle royale mode? But no, my worries were more than mitigated during my first hour of play. SPAAAAACE! Who doesn’t want more of it? Here are the best space games on PC. 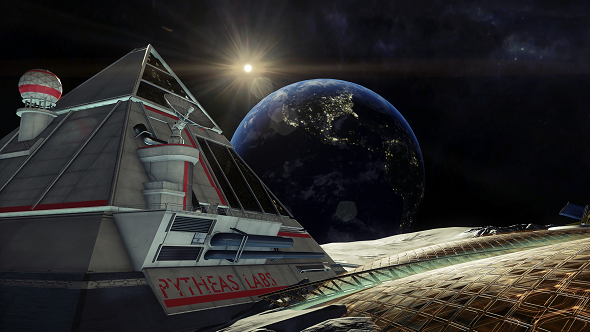 Mooncrash does not trade off any of the idiosyncratic traits Arkane is known for: humour, charm, and environmental storytelling litter the Pytheas Moonbase. You could spend hours in a single station reading terminals and many more tinkering with Prey’s physics system. This is not a roguelike meant to be rushed through. Like a budding, Typhon-infested flower, Mooncrash blossoms as you spend more time with it, eventually resulting in a meaty game full of clever secrets. Mooncrash puts you in the shoes of five different characters who are all dealing with the same problem. They’re stuck on the moon and aliens have taken over their place of work. 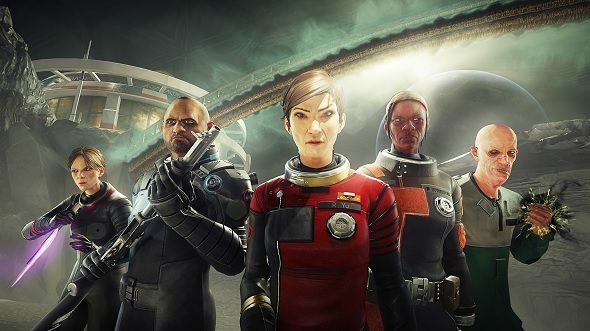 Each character is unique – from a crestfallen test subject to the morally-grey cousin of the original game’s protagonist, Morgan Yu – and must deal with the challenges of the moon differently. Yet, the rub is that you’re actually playing as a hacker called Peter, who is stuck in a satellite orbiting the base, using a virtual reality system to simulate the experiences of the five characters to understand how the place fell to ruin. He has his own stakes, being separated from his wife and child and at the will of his dubious employer, Kasma Corp. The point of each gameplay loop is to escape the Moonbase, but it’s not that simple. You start off with a single actor, but when you unlock a second character, the simulation is kept running and you must escape with them too. You must then return to the Moonbase as the next individual and are stuck with whatever choices you made as the previous character – terminals you hacked or items you picked up during the initial escape carry over. Other static items carried over include Neuromods, fabrication recipes, and implants picked up during your runs. Different characters are equipped with certain preordained items. These may offer a research-oriented experience with the Psychoscope, or aim to give you a more physical approach to your problems, such as the security officer’s shotgun. Each character has a foil, and you can mitigate their weaknesses by using points gained in the simulation to install implants, add weapons, or give them survival items. The latter is crucial due to Mooncrash running with Survival Mode difficulty baked in. This means if you crash into a wall and suffer a haemorrhage, or fall ill to radiation in the Crew Annex, you must fix it with a particularly scarce item or face ruining your run, and losing your ability to jump or install Neuromods. Finding the fabrication plans for these pieces of kit are often the difference between life and death. The tension is compounded further by the corruption meter. This gauge constantly ticks up and will warp the simulation as you spend more time in there. The result of high corruption is tougher enemies to beat, more environmental hazards, and the loss of poor Peter’s sanity if you stay too long. This all feeds into the end goal of the DLC, which is to escape with all five characters in a single run. There are only five means of escape, so you must figure out how to manage this difficult task with pure intuition. This isn’t taking into account that each character has their own story objective – a voice-acted vignette that sits seamlessly within the roguelike simulation – grafting an emotional pull onto getting the hell out of dodge. There are bountiful surprises hiding in Prey – Mooncrash, which truly make it an adventure to be experienced at your own pace – on with the storytelling chops of Prey itself – and not one to be blindly rushed through. Don’t let its roguelike label tell you otherwise.